Last week you'll remember Christa Martin from All the Pretties was featured, and this week we are keeping it in the family with her mother-in-law! This week’s Ms New Brunswick is Louise Martin, owner of Lou Lou Salsa. Louise works full-time and runs her salsa business on the side. As with many of the women I speak with, this was a passion and hobby first before it was a business. Louise talked of the importance of loving what you do, because you'll be surprised by how much work it really takes to make something successful, and this is something that I have also found to be true. Many small business owners, especially those who are creative, struggle with having to manage the other aspects of running a business. The behind the scenes stuff that isn't so glamorous but is equally important. 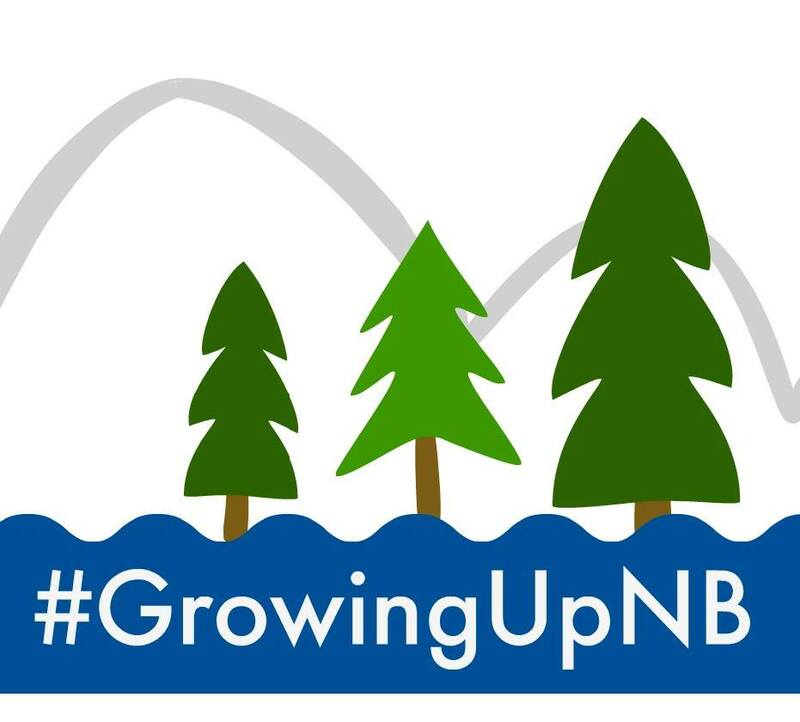 This is why it is SO VITALLY important to have resources in your community setup to help small business owners, and we are so fortunate to have so many in New Brunswick. Sometimes it can is hard to know where to look, so always reach out if you feel you need some direction or clarification - if I can't help you, I definitely know someone who can. My little business is called Lou Lou Salsa, I make and sell pre-measured spice mixes and salsas. I sell the spice mixes wholesale to a few local grocers here and there and the FoodLand in Grand Falls. I am working hard on getting the salsas jarred for commercial sale. It’s a lot harder to get food prepared and jarred properly and within safety regulations in order to sell commercially, so that is my big focus at the moment. I started doing this in about 2013. It started because I am a bit of a fussy eater and I love to play poker. I was trying to find a snack I could make to bring to poker games that I would enjoy and share with everyone else. I started making salsa because I thought that would also be a good healthy snack that would allow me to get some veggies in, and I started tinkering with salsa recipes. I developed and perfected the recipe for about 18 months. I started bringing it to work, and would pass it around to my clients. I would get feedback and tweak the recipe even more, and eventually it tasted really good. One of my colleagues told me, “you should sell this!”. The rest is sort of history. I asked my son to make me a logo and that’s how we came up with the name. I started to bring jars of it with me everywhere I went, and people would buy it from me. It was getting to be a bit of a pain because I was working all day and then up cooking all night. Eventually I thought that if I could make the mix it would save me so much time and then people could make it at home. 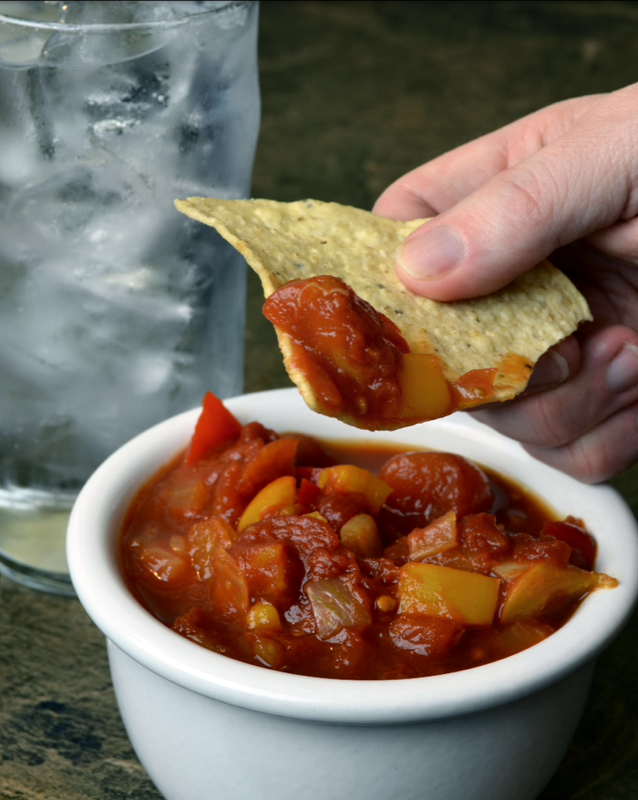 What are your future plans for Lou Lou’s Salsa? My goal is to get into Superstore or Sobey’s, so I am working really hard to get that jar in production! I basically have the food inspector on speed dial and I am sure he rolls his eyes every time he sees my number pop up. Well I must love making salsa. I have made and tested (and even thrown out) so much salsa over the years. I don’t know what it is. It smells good, it looks beautiful – I am very visual – the colors speak to me. Salsa is a happy food. It’s delicious. I think the best part of it is really hearing how much people love and enjoy it so much. It makes me happy to see people enjoy something I’ve made. I am just so proud of it, I can’t believe that I made something by myself and it tastes good! Oh yes, people are so helpful. They go out of their way to give you a contact or point you in the right direction. I have had a lot of help in this project along the way and I couldn’t have done it any other way. People go out of their way to come and talk to me about how they love their salsa, and they follow me around to buy my products. The community here is very supportive, but that is life in a small town. Everyone is invested in each other and supports one another. I’ve also gotten a lot of help through various business programs in the province, especially through the CBDC and Canada’s Smartest Kitchen. They helped me put together a business plan and did a lot of work and market research for me. I have the recipe now done for the jarred salsas, but am still waiting for manufacturing and production approvals, and I am still on the hunt for a co-packer. Finding a co-packer, or someone who would rent their class 5 kitchen to me has been my biggest challenge to date. I can’t make the jarred salsas until I find a suitable space or company who can produce them in accordance to the guidelines laid out for commercial foods. Another hurdle is living in a small town that doesn’t have many business resources. I need help with marketing, sales and networking and I just don’t have the same opportunities to attend workshops or programs locally. But it’s ok, because the people here are amazing and helpful in their own way and when you live in a small town you just go with what you’ve got. Be persistent and don’t quit. There is no genie in a bottle or overnight success story. There’s a lot of work involved and sometimes it feels like there is no such thing as a day off. You have to put in the time. It’s really crazy how much time you have to devote to aspects of the business that you never thought you’d have to think about. You can find us on Facebook here, or Instagram here.